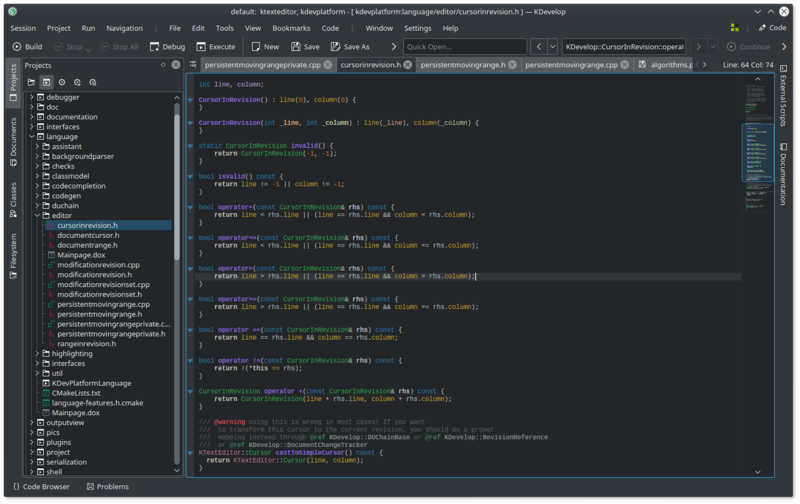 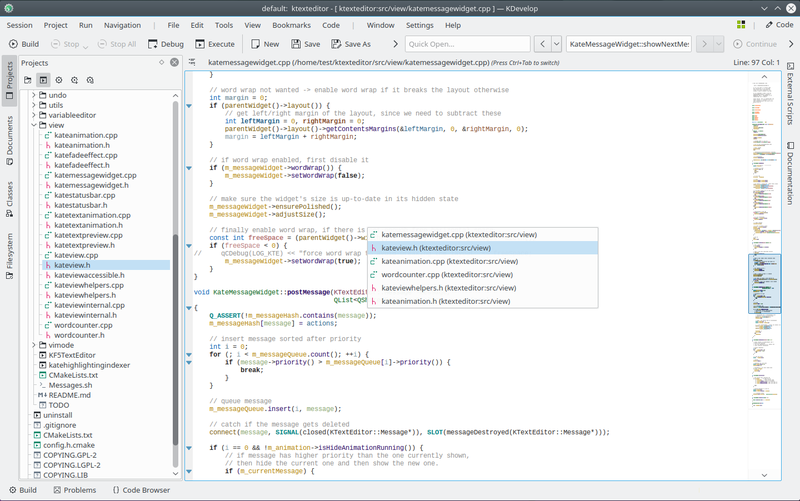 Built on modern open source technology, the KDevelop IDE offers a seamless development environment to programmers that work on projects of any size. 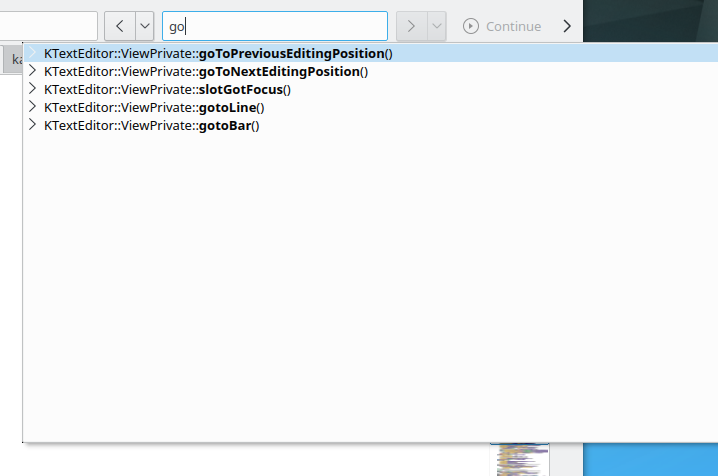 It helps you get the job done while staying out of your way. 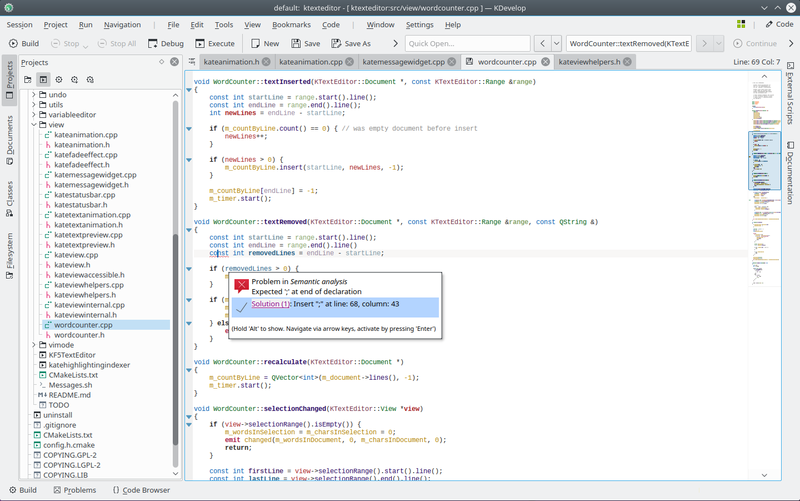 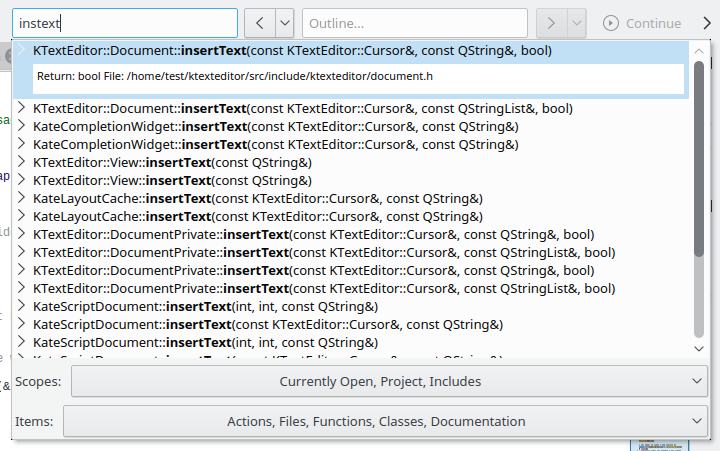 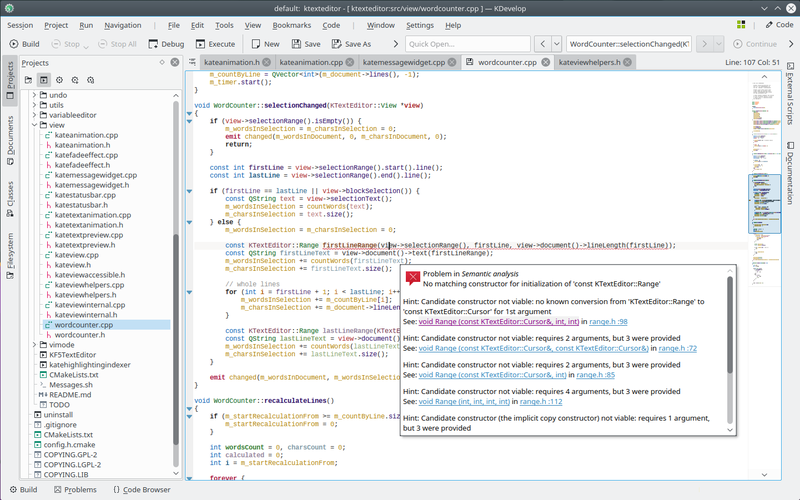 At the core of KDevelop lies the combination of an advanced editor with semantic code analysis, which delivers an enriched programming experience thanks to a deep understanding of your project. 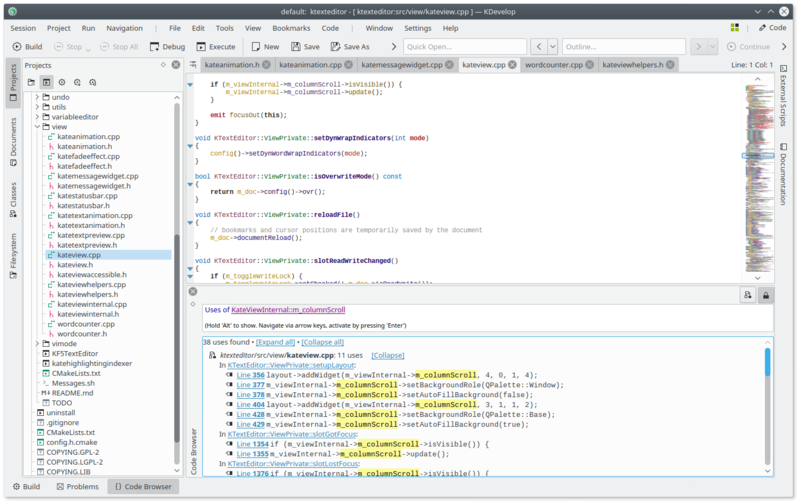 Additionally, KDevelop offers different workflows to assist the coder during the development process. 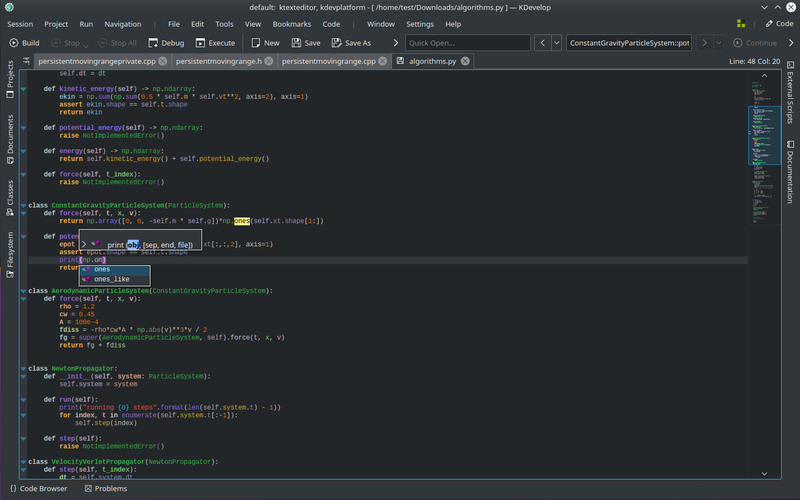 It helps improve the code's quality, verify its functionality and then deploy it anywhere. 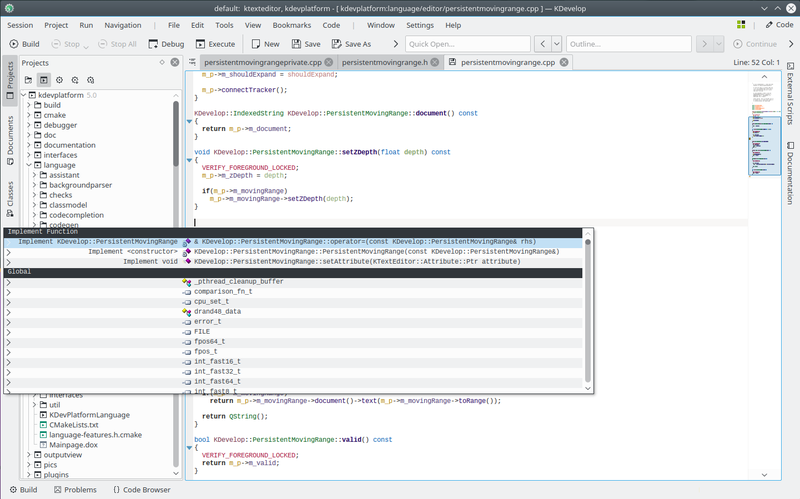 KDevelop is available free of charge and is licensed under the GNU GPL. 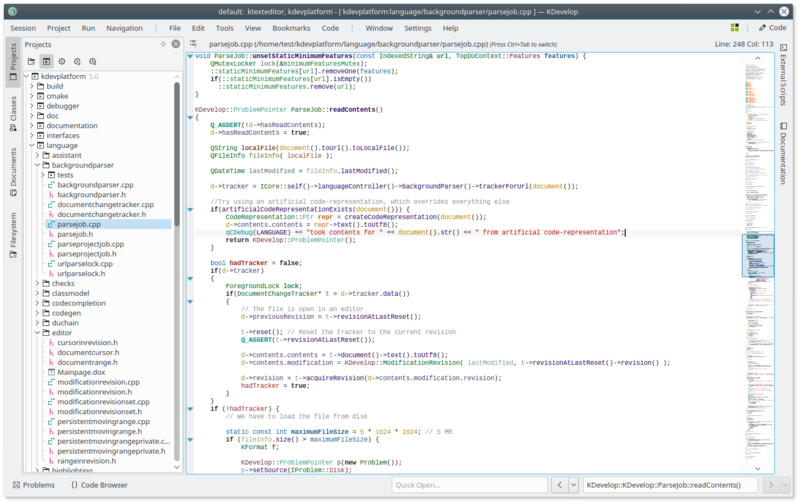 We are a proud member of the KDE Community. 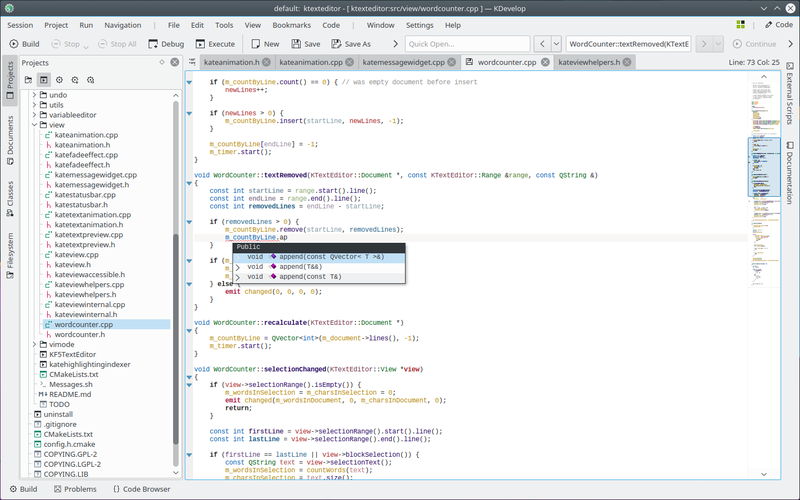 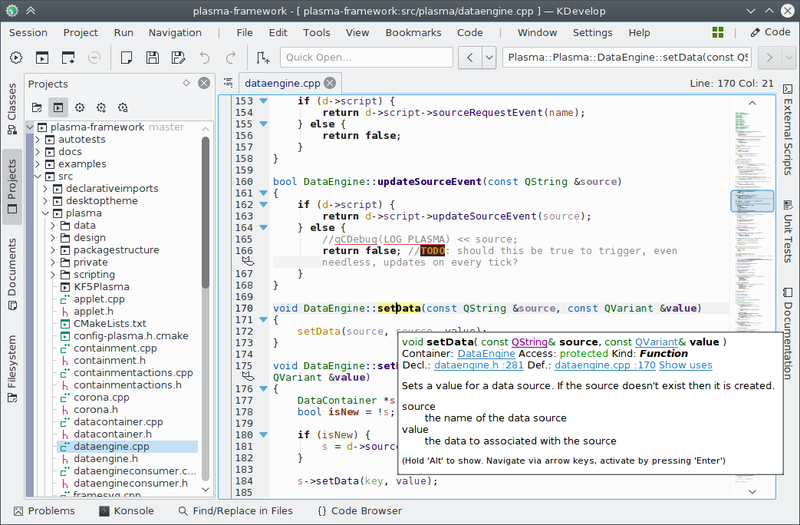 KDevelop is a feature-full, plugin extensible IDE for C/C++ and many other programming languages. 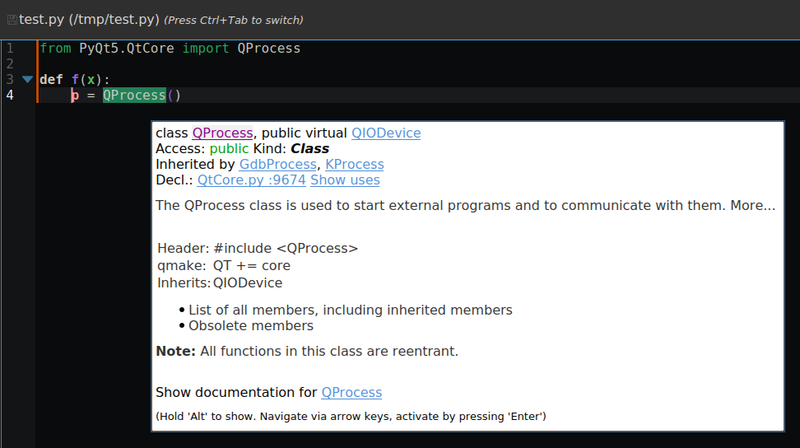 Supported platforms include Linux, Solaris, FreeBSD, macOS and other Unix flavors as well as Microsoft Windows. 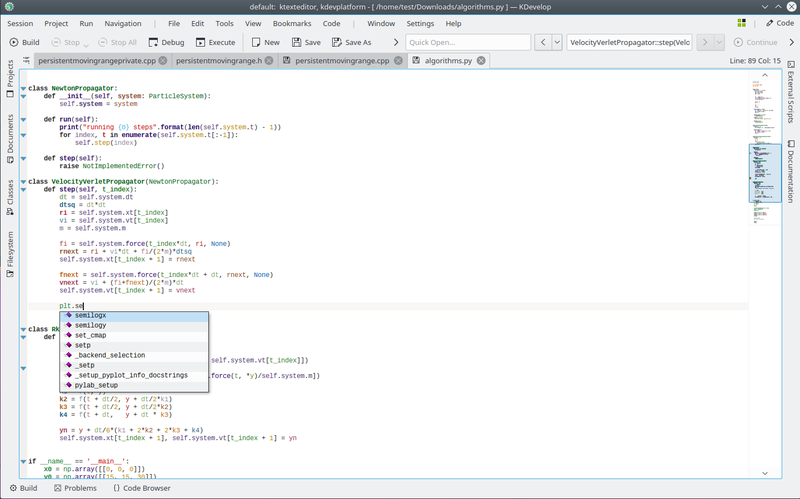 It is based on KDevelop Platform (kdevplatform), the KDE Frameworks and the Qt libraries. 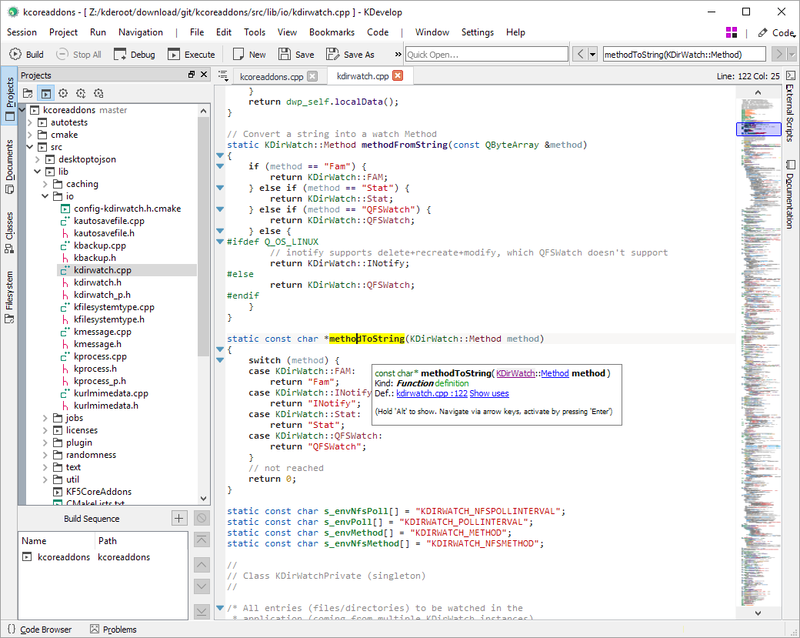 It is under development since 1998. 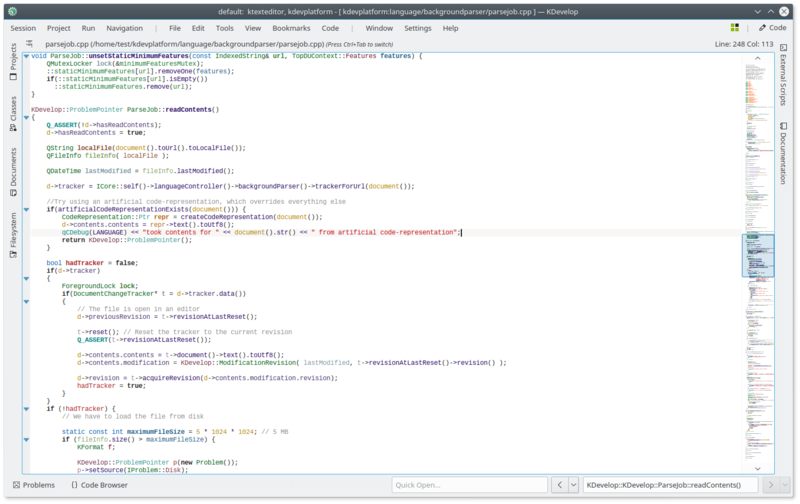 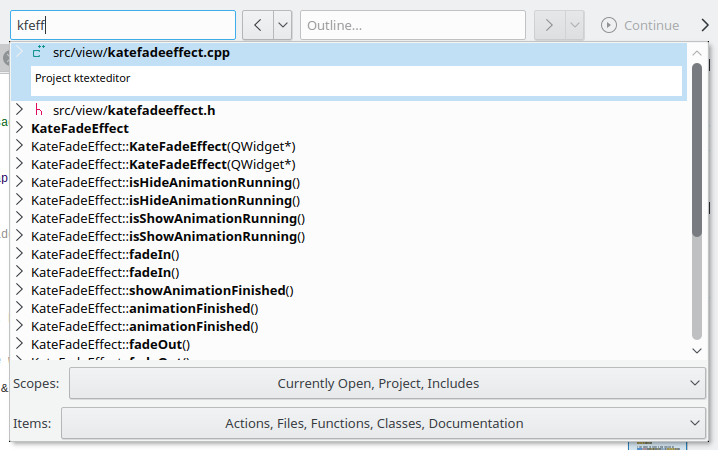 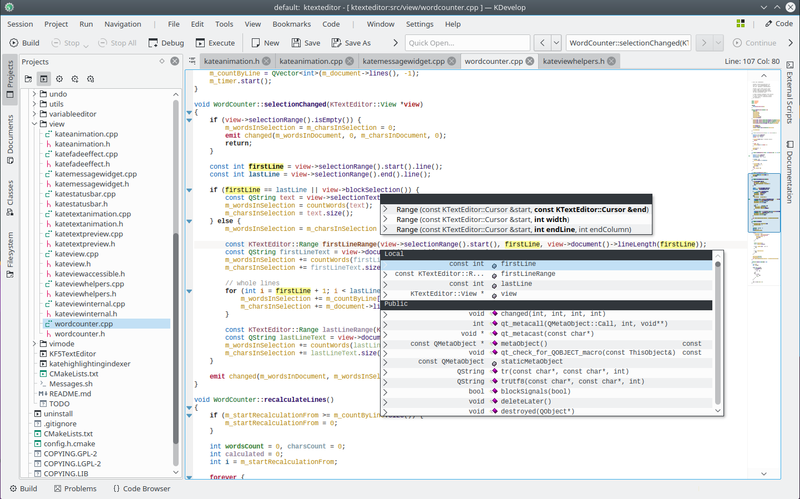 KDevelop showing the uses of a function in the bottom code browser widget. 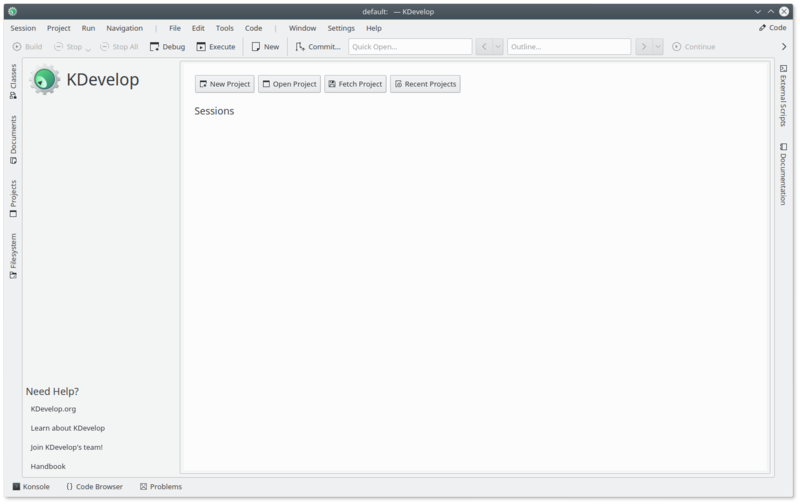 Take the Feature Tour to find out more!